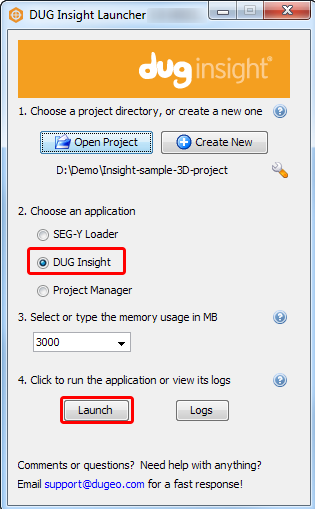 DUG Insight User ManualFrequently Asked QuestionsFrequently Asked Questions Sessions and ProjectsHow do I load sample data? 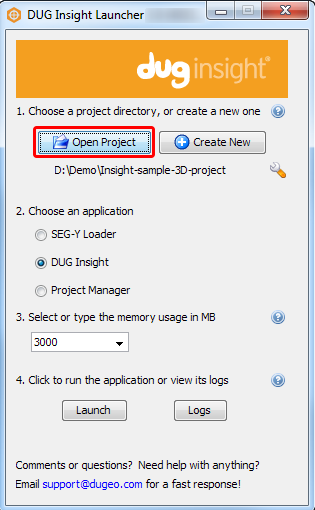 The sample datasets are mini self-contained DUG Insight project directories, each with a pre-configured session. Follow these steps to get started. Download the sample data from http://www.dugeo.com/software/resources/sample_data. 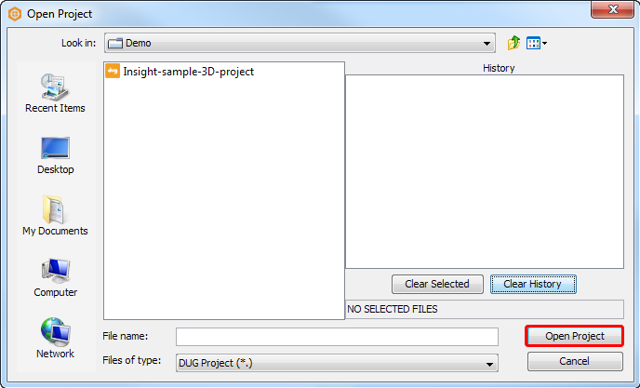 Unpacking the ZIP file will create a new directory called "Insight-sample-2D-project" or "Insight-sample-3D-project". Run the DUG Insight Launcher by selecting the Insight icon from the Start menu, Desktop, or (on Mac OS X) Applications directory. Click Open Project to browse for the project directory. Navigate to where you unpacked the ZIP file, and click Open Project. Select DUG Insight at the Choose an Application section and click Launch. 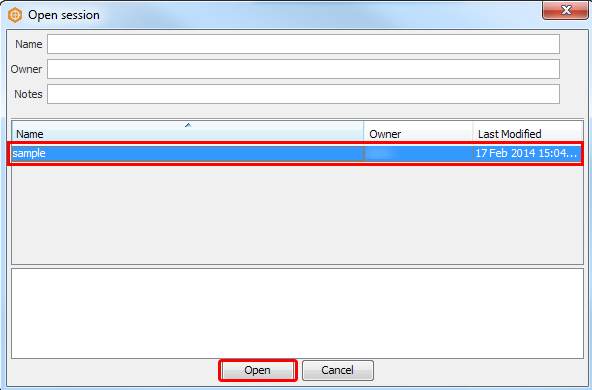 Select Open Session from the File menu. 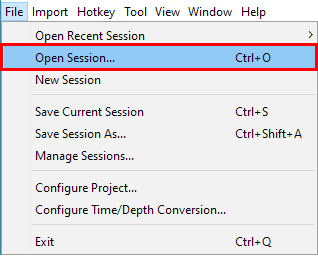 Choose the sample session and click Open. If you have any questions during your evaluation, please contact us. Our peerless technical support team would love to help. Prev: What is the best way to copy and send DUG my project database? Next: How should I backup my project?